Admit it, mountain climbing is the millennials’ new trend. Social media has been a powerful tool to inspire us to plan a hike with our friends, get our bags and discover what we can see from up there. We all have that dream weekend escape from stressful academic-related or office works. Well thank God, there’s a less than two hours away mountain we can depend on. Among the never-ending list of mountains in the Philippine archipelago, I picked Mt. Balagbag to be my second mountain climbing experience and I must say it’s worth it! Besides its proximity to the metro, oh please, the view will make you feel in awe! Mt. Balagbag is a favorite hiking destination in Rodriguez, Rizal at over 777 MASL. Favored by many mountain climbing enthusiasts for its closeness to the city and an experience that’s really questionable for its low budget requirement. According to pinoymountaineer.com, its difficulty level is 3/9, and I think it’s true. The trail is easy, broad and uncomplicated making it popular for outdoor bikers. You wouldn’t get lost I promise. The battle begins when the sun starts to show up, so make sure you are well geared up for the trek. Also, it is part of the Sierra Madre range so expect a very spectacular view when you reach the summit. You can sit and spend your lunch here. Great for picnics, eh? The transportation fee for Jollibee Tungko-bound ride varies depending on your location. Basically, the nearer you are to the destination, the cheaper the fare. But for the Licao-licao jeep, that’s the standard fare. There are a lot of sari-sari stores in the area. However, it’s better if you bring your own refreshments with you for they are sold relatively high. The registration booth is located near the mountain peak. You can also raise inquiries about the place and other attractions you can pay a visit. Going on a picnic date is also a cool thing to do on the summit! There are free-to-use bamboo tables and benches near the mountain peak (photo displayed above). Guides are not mandatory. However getting one would help you go to other places if you want to explore further! 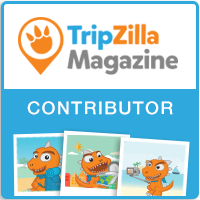 Guide fee is ₱500 shared by the number of people in your group. Neighboring attractions such as Mt. Maranat & falls and Kaytitinga falls can be your best options for sidetrips after the trek. One thing that will leave you motivated to keep going is none other than its locals. Almost every one of them will greet you “good morning” with his/her brightest smile, seriously. Go wander & wonder!